Beddgelert is a small village located to the south of Mount Snowdon. This picturesque village sits at the intersection of two rivers, the Glaslyn and Colwyn, which is crossed by an ancient stone bridge. The village is an ideal starting point for exploring the Snowdonia mountains and has excellent accommodation available. Mount Snowdon is just 4 miles to the north of the village and many walkers use the village as the starting point for their ascent. Nowadays, the village comprises a cluster of grey stone buildings, a much photographed stone bridge, hostelries, shops and dwellings. Centrally situated, Llywelyn’s cottage, a former farmhouse, dates from the 16th century and now houses the National Trust shop and exhibition. Most of the village dates from the nineteenth century. 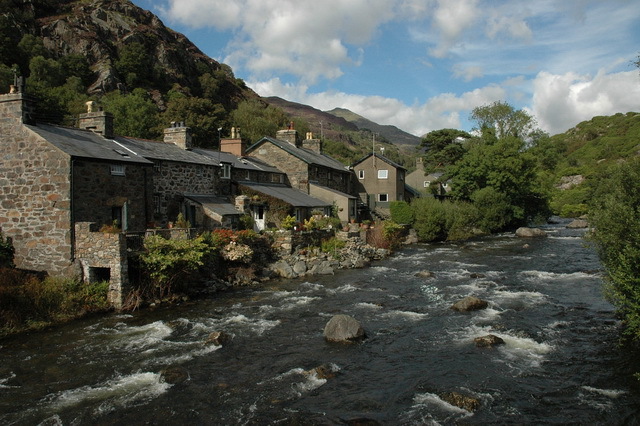 The residents of Beddgelert take a particular interest in their village, enhancing it with floral displays and well kept amenities, their efforts recognised over the years with many prestigious national awards. Beddgelert is an enchanting place, popular with visitors and ideal for mooching about. 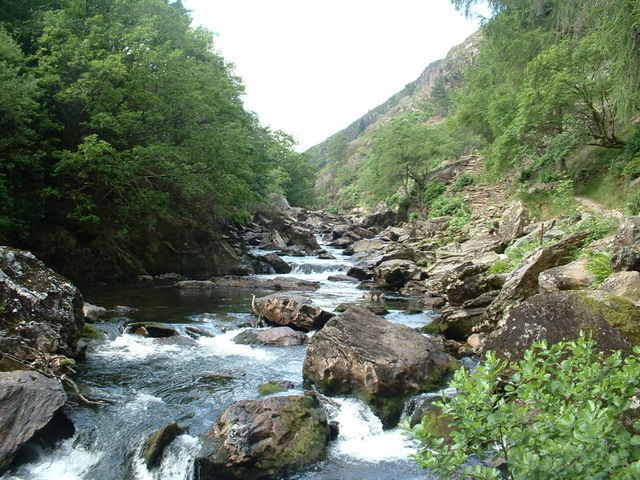 For those with more energy, Beddgelert is the starting point for a walk along the Aberglaslyn Gorge. The path follows the clear river, as it tumbles over boulders through the sheer cliffs of the picturesque, wooded valley. 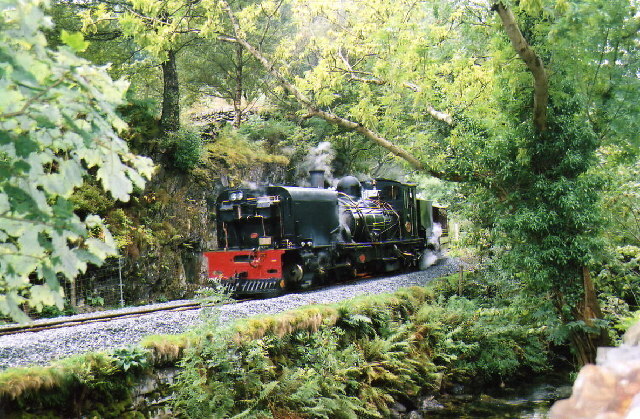 The route is shared with the track bed for the Welsh Highland Railway. Plans are afoot to restore the tracks, renovate the tunnels and once again travel through the gorge on steam trains, with Beddgelert and Rhyd Ddu being their eventual destination. The name of the village is shrouded in mystery but there is a popular legend that says the village is named as a result of Prince Llewelyn and his dog Gelert. The name Beddgelert is believed to mean ‘the grave of Gelert’ and is so named because Prince Llewelyn was once out hunting when he noticed his favourite dog, Gelert, was no longer with the pack. Concerned the Prince returned to his home to find the cot of his baby son all bloody and the child missing. Looking around he saw his dog Gelert with his muzzle covered in blood. Consumed with anger Prince Llewelyn drew his sword and ran it through. As the dog lay dying he heard tiny whimpers coming from behind the cot and upon investigation discovered his son unharmed and the body of a large dead wolf by his side with many bite wounds from the dog. Consumed with grief Prince Llewelyn was forced to watch his faithful dog Gelert die and he then buried the dog’s body in a field to the south of the village. 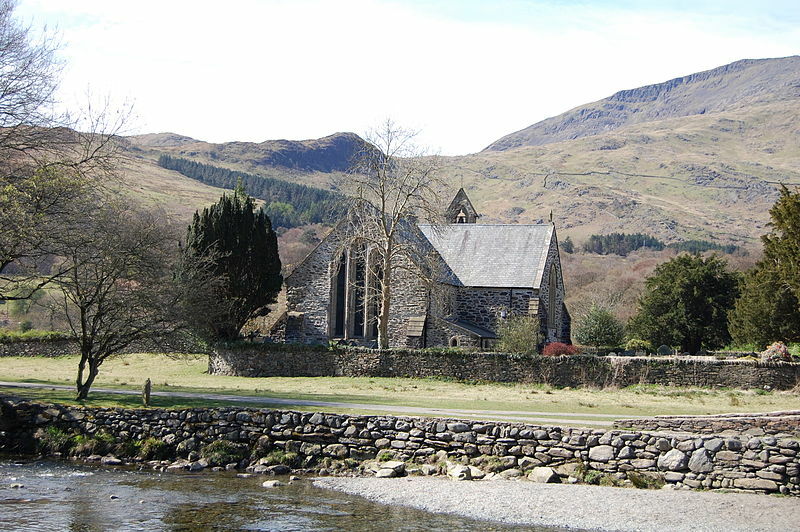 Beddgelert is an ideal location to explore the mountains around Snowdonia and a number of local hotels and guest houses provide excellent accommodation. For those looking for something a little more basic the Snowdon Ranger campsite is located a short distance to the north of the village. People have lived in Beddgelert for hundreds of years. St Mary’s Church was built on the site of a 7th century Augustinian Priory and still retains some features of the original building. Prior to the cob being built at Porthmadog, the river at Beddgelert was tidal and boats were able to sail all the way into the village centre. The village is in a beautiful location to just visit and enjoy the countryside. 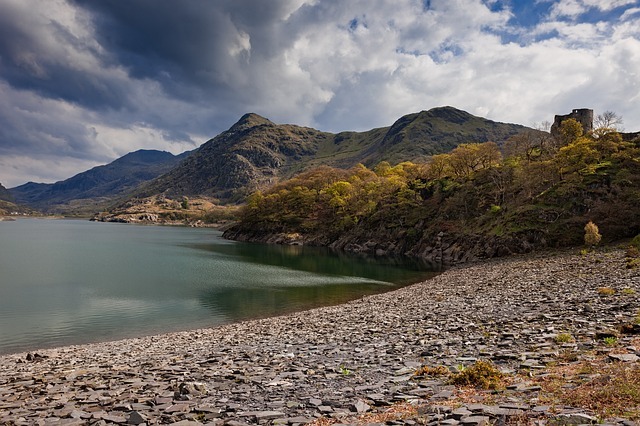 Many walkers use Beddgelert as a base for ascending Mount Snowdon or for the less arduous there are many countryside walks that don’t involve ascending steep mountains! 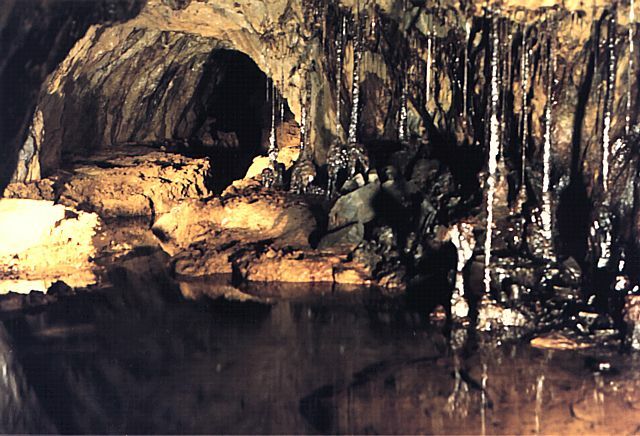 Located a short distance to the south of the village is the Sygun Copper Mine, which is open throughout the year to visitors. The mine is no longer operational and today offers a fascinating insight into copper mining as you descend deep into the mountain.